A delicate little box created for a client to hold a jewellery heirloom. 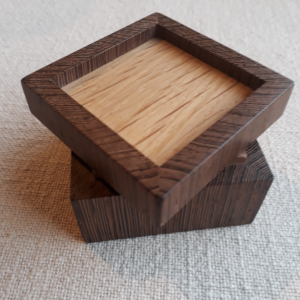 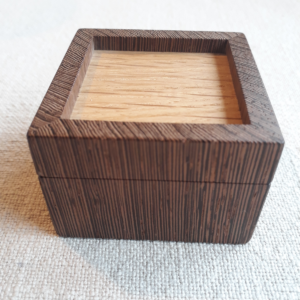 The box sides are in wenge with walnut lining and oak lid. 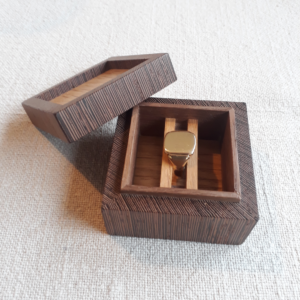 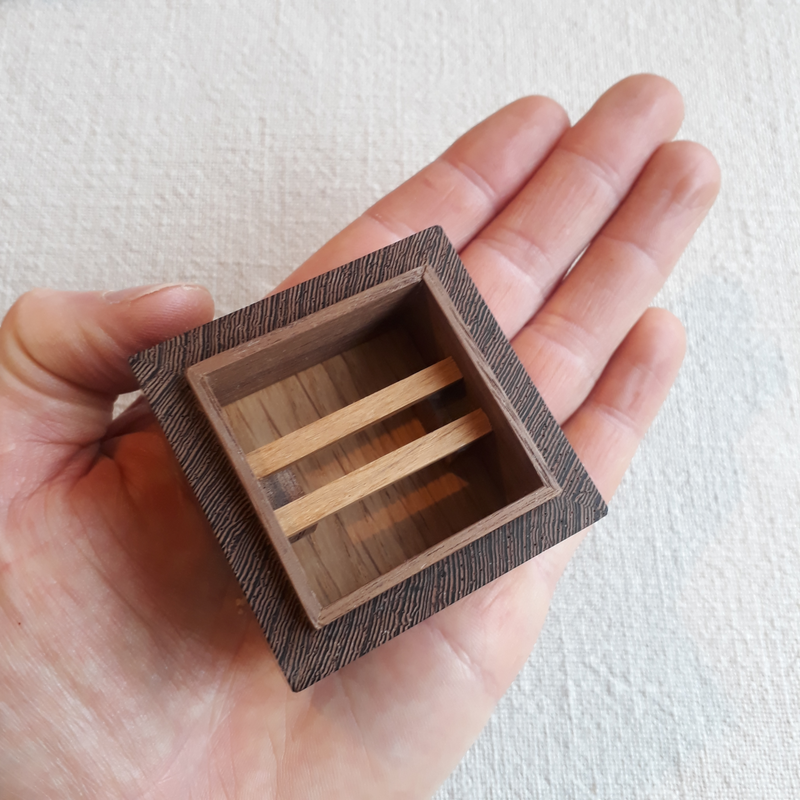 Inside the box there is a clever support system made in oak to showcase the ring.